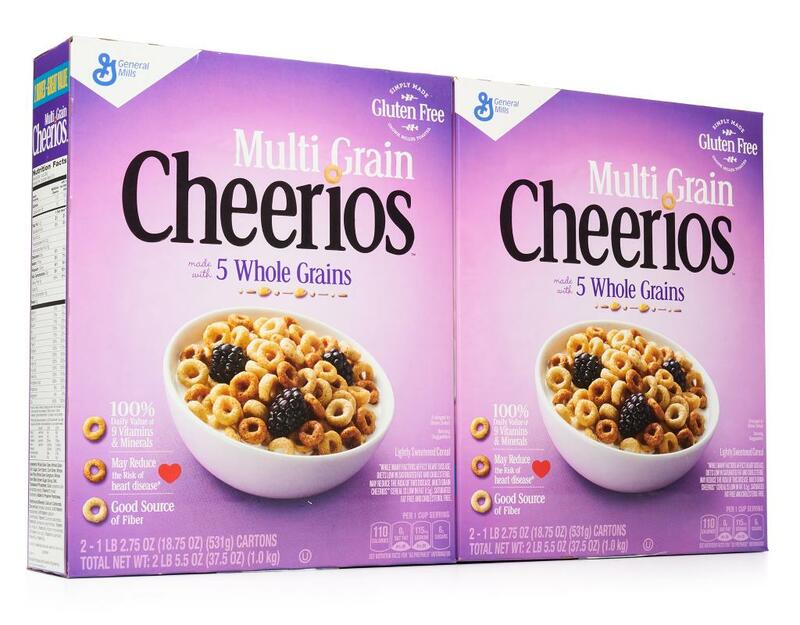 As part of a sensible diet and active lifestyle, Multi Grain Cheerios can be a delicious way to help manage your weight. 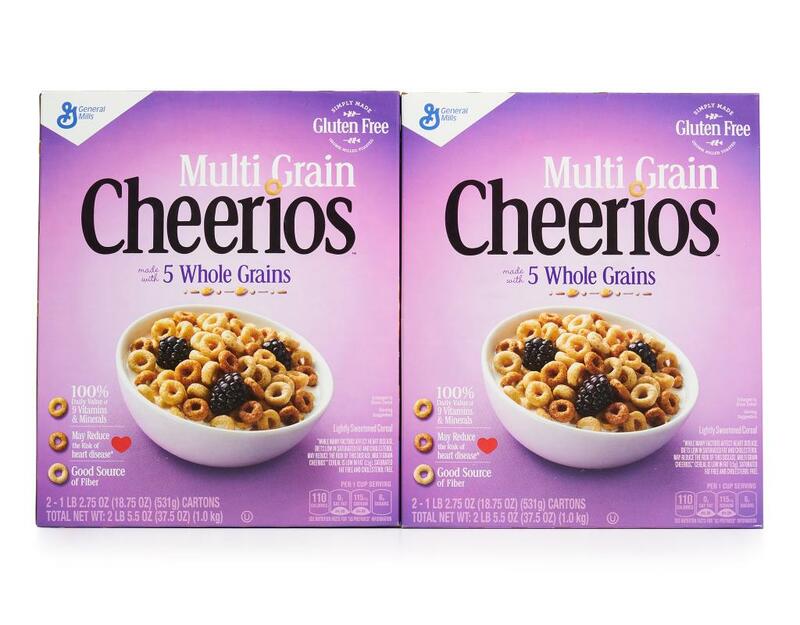 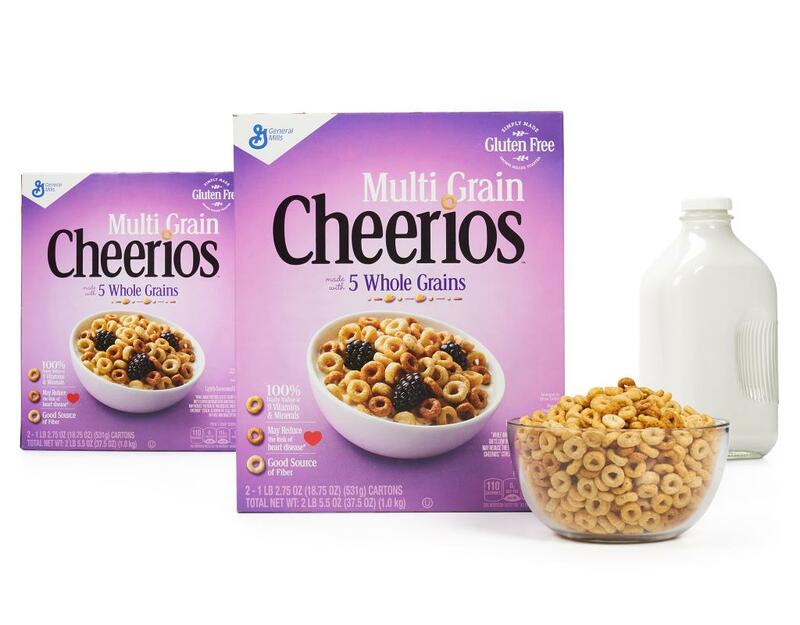 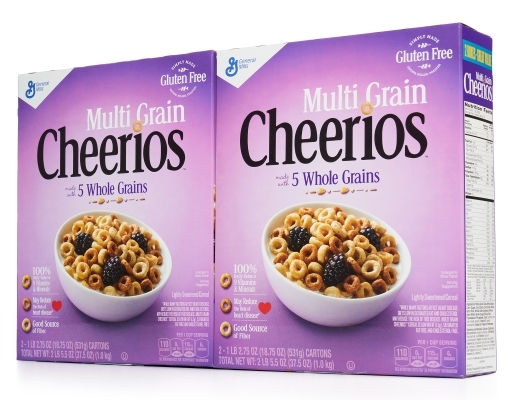 Multi Grain Cheerios is made with 5 lightly sweetened whole grains and has 110 calories per serving. Multi Grain Cheerios has 20 grams of whole grain per serving. 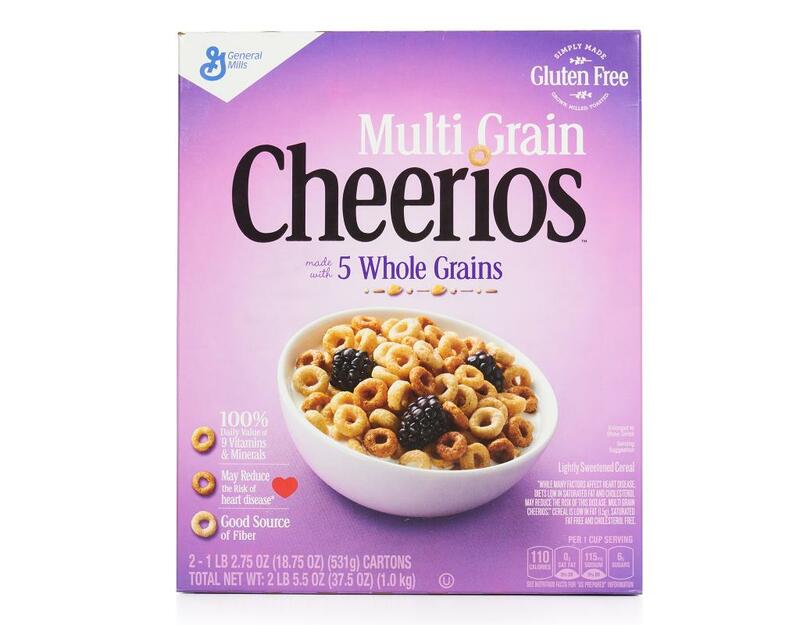 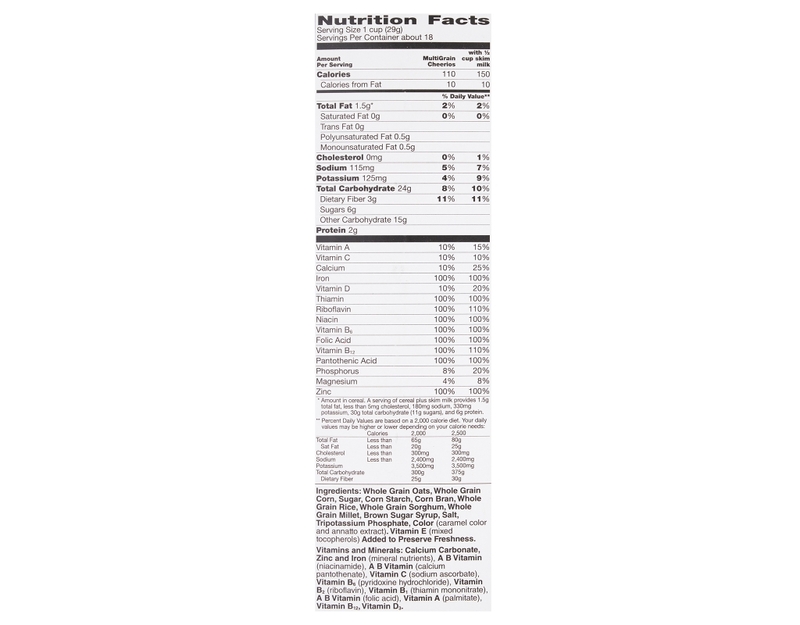 Whole Grain Oats, Whole Grain Corn, Sugar, Corn Starch, Corn Bran, Whole Grain Rice, Whole Grain Sorghum, Whole Grain Millet, Brown Sugar Syrup, Salt, Tripotassium Phosphate, Color (Caramel Color And Annatto Extract). 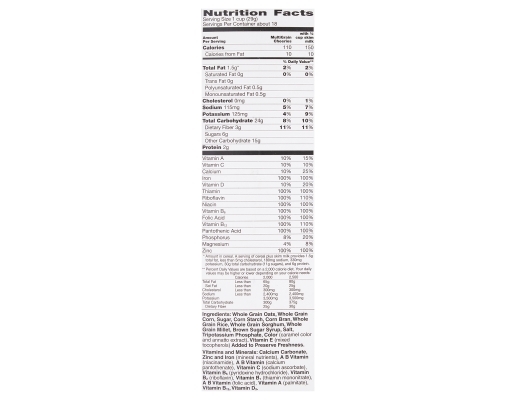 Vitamin E (Mixed Tocopherols) Added To Preserve Freshness.